Russia’s largest airline Aeroflot posted a net loss of 7.182 billion rubles (US$114 million) in the first half of 2018, calculated in accordance with Russian accounting standards. This contrasts with the same period of last year when the airline posted a net profit of 2.306 billion rubles. 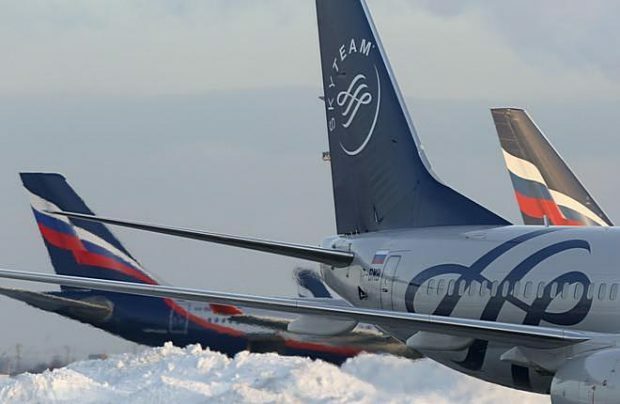 Aeroflot attributes this reversal to a combination of its expansion and higher traffic volumes, as well as the impact of numerous external factors such as an increase in jet fuel costs, and higher fees for air navigation services, airport charges and ground services. The negative figure for the first six months is largely the effect of the major deficit of 8.75 billion rubles the airline suffered in the first quarter of the year. Notably, this calendar period was also detrimental last year. In the second quarter of 2018 Aeroflot managed to climb out of the red, registering a net profit of 1.568 billion rubles, which is nevertheless 4.5 times short of the Q2 2017 results. Commenting on the first half-year results, Aeroflot’s management reveal that a cost spike, including a 39.1 per cent increase in the costs of jet fuel (its largest single operating cost) and 18.4 per cent higher costs for air traffic management services, airport charges and ground handling costs in the context of an increase in the number of flights completed and higher service costs at a number of airports in Russia. Leasing and maintenance costs of aircraft and engines increased due to the expansion of Aeroflot’s fleet by 17 aircraft in the last six months. Higher staff costs were driven by an increase in salaries and incentives to flight crew designed to improve the attractiveness of Aeroflot’s employment terms, as well as an increase in the number of flight personnel on the back of the carrier’s expansion of operations. As a result, cost of sales increased by 24.9 per cent (to 122.598 billion rubles) in Q2, and by 21.5 per cent (to 228.387 billion rubles) in the 2018 first six-month period. Revenues in the period from January to June grew by 10.6 per cent to 219.157 billion rubles, and the peak of revenue growth for the period was registered in Q2, which was 13.2 per cent up to 124.963 billion rubles, against 7.3 per cent (94.195 billion rubles) in Q1. The revenue growth is linked to a 6.4 per cent increase in passenger traffic numbers for the six months of this year (to 16.2 million passengers) and was boosted by changes in key currency exchange rates (the euro appreciated against the ruble by 14.5 per cent year-on-year, and the US dollar by 2.6 per cent). Overall in the first half of 2018, the airline registered a gross loss of 9.230 billion rubles, whereas it ended the same period of 2017 in the black. Gross revenue of 2.356 billion rubles posted for Q2 2018 is still five times less than the result of the same period of last year. Aeroflot’s long-term obligations as of June 30, 2018 stood at 9.572 billion rubles, down from 11.054 billion on December 31, 2017. By contrast, the short-term liabilities increased from 94.730 billion rubles in December to 148.647 billion in June.